This man is a bust headless and armless. It has a metallic sleeve in place of a head. This man bust is made of polypropylene and is very lightweight. Designed for optimal length, it requires little maintenance. Thanks to its transparent side, this bust will bring originality to your windows. It will draw attention to your clothing collections. This mannequin is great for changing your windows regularly and easily. 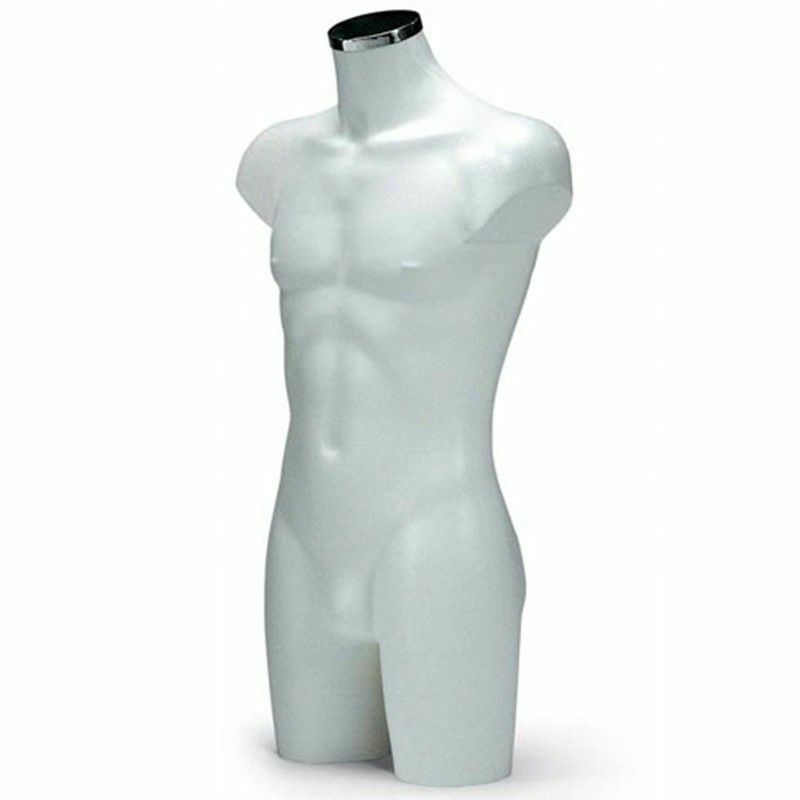 This nice man bust translucent colored polypropylene with either fixation or base. The dimensions of this bust is 92 cm in height, a 98 cm bust, waist circumference of 76 cm and a hip circumference of 94 cm.